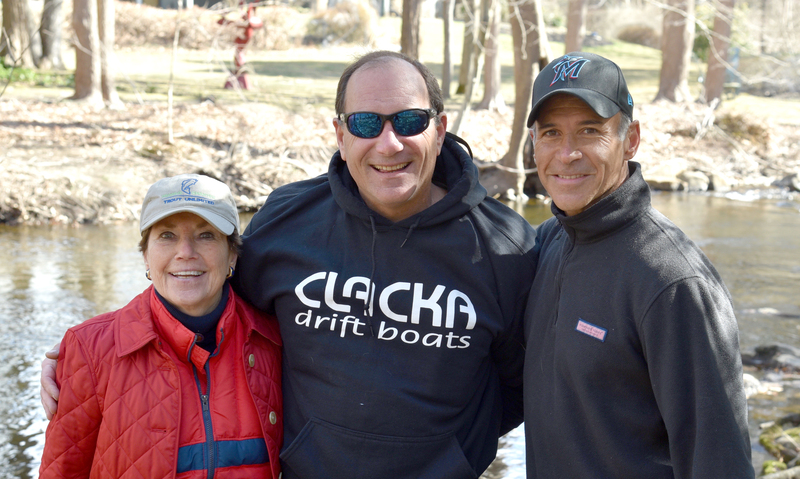 On Monday, April 1, State Rep. Fred Camillo joined State Rep. Livvy Floren and Paul Chiappetta, Vice President of the Mianus Chapter of Trout Unlimited, to stock the Mianus River ahead of Opening Day of fishing season, April 13th. Unless otherwise noted, lakes and ponds are open for fishing year round, while rivers and streams are open from the second Saturday in April until the end of February. Approximately 630 Brook, Brown and Rainbow Trout, in addition to 10 Broodstock Trout, were dropped into the Mianus River Trout Management Area (TMA) to help accelerate population growth.